The Liver Systems Medicine research network LiSyM, previously called Virtual Liver Network, is a network of 20 German research centres representing 39 independent groups of investigators. 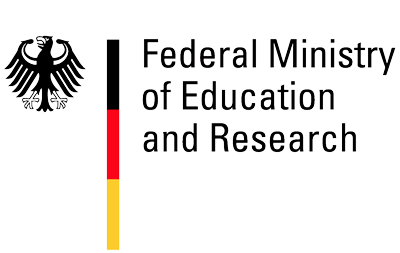 The network is supported by the Bundesministerium für Bildung und Forschung with a grant of 20 million euro for the duration of 5 years. The current network started in January 2016 but is building on 15 years experience with similar networks in Germany. In LiSyM experimental laboratory researchers of various disciplines work closely together with mathematicians, bio-informaticians, modellers, clinical investigators and data-managers. The centres participating in the network are distributed all over Germany. The network is managed by a program director, a scientific administrator and assisted by a multi-disciplinary leadership team and an international scientific advisory board. Non-alcoholic fatty liver disease (NAFLD) is rapidly becoming the most prevalent liver disease. In Europe NAFLD is estimated to affect about 20 per cent and in the US even 30 per cent of the population. This is to a great deal due to ‘silent epidemic’ of obesity and type 2 diabetes. The liver as a central metabolic organ plays a dominant and somewhat neglected role in metabolic changes underlying wide-spread diseases such as atherosclerosis, chronic hart failure, dementia and type 2 diabetes. In NAFLD and non-alcoholic steatohepatitis (NASH) the liver itself has become the victim of metabolic derangements. Although the Western type life style and diet has been recognized as a major cause of these diseases, this appreciation by itself has not led to an immediate solution. The simple advise to change one’s life style is often neglected and attempts to do so are not implemented or cannot be maintained. Drugs interfering with key receptors or dominant metabolic signalling paths would be extremely helpful to manage NAFLD and NASH. For health care this is an unmet need and for the pharmaceutical industry this is a challenge and a great opportunity with enormous economic value. Although cure is difficult to achieve in these diseases, suppression of disease activity would be an important goal. However, this often means life-long medication and therefore it is mandatory to develop drugs that address the correct targets and this at reasonable costs. Drug development in this area is difficult since the exact pathogenesis is not well understood, disease stratification is not well defined and biomarkers and non-invasive endpoints for randomized clinical trials are yet to be developed. Therefore a thorough understanding of the pathogenesis and pathophysiology of NAFLD and NASH is urgently needed. Within LiSyM the emphasis of research is on the computational charting of metabolic paths in the liver and on the multiscale three-dimensional imaging of pathological features and metabolic derangements using digitalized advanced microscopic techniques, multimodal modelling and charting of metabolic processes. With this approach we hope to develop new insights and new drugs to diagnose, stratify and treat NAFLD, NASH and associated metabolic diseases including hepatocellular cancer for which these patients are at increased risk.